Isn’t it nice to come back from a busy day and dinner is already ready? Let the Magic Bullet and slow cooker do all the work for you, so all you have to do when you get home is eat. A simple herbed lemon marinade is blended together in the Magic Bullet, and poured over chicken breasts in a slow cooker to create the most flavorful, tender chicken to accompany your favorite side dishes. Heat the olive oil in a skillet and brown the chicken breasts on both sides, then add to a slow cooker on low setting. 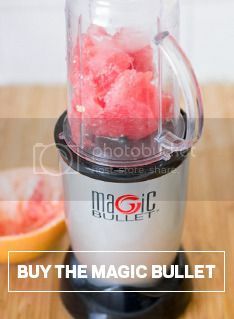 Add the remaining ingredients to a Magic Bullet cup and blend, then pour over the chicken. Cook on low for 4-5 hours, until chicken is fully cooked.